Pearl Jam are an American rock band that formed in Seattle, Washington, in 1991. The band’s first album, Ten, produced three songs still widely available on the radio today — Even Flow, Alive, and Jeremy. After their second album, the band retreated into somewhat obscurity, refusing to make music videos and waging battle against Ticketmaster, who began charging insane “convenience fees” in the mid ’90’s. Today, Pearl Jam are as active as ever. Their shows have become amazing spectacles, with varying setlists that never see them play the same show twice. All five members of Pearl Jam — Eddie Vedder, Stone Gossard, Jeff Ament, Mike McCready, and Matt Cameron — are champions of causes for our environment, social justice, and human rights. I could never sum up this band in two paragraphs. They are, without question, my favorite group, and they have provided the soundtrack to my life. It was with great excitement that I learned a few months ago that Milton, Deleware brewery Dogfish Head was producing a beer to honor the band’s twentieth anniversary, which took place in 2011. Along with the beer, a documentary entitled Pearl Jam Twenty was released to theaters by director Cameron Crowe. 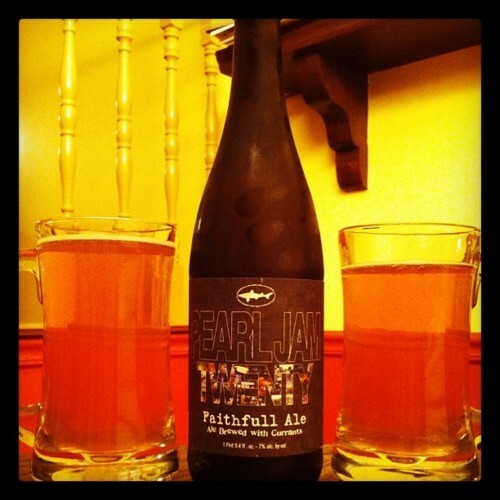 The beer from Dogfish is called Faithfull Ale, and yes, Faithfull is misspelled, as this beer is named after a Pearl Jam song titled Faithfull. Not only is the beer a celebration of twenty years of Pearl Jam, but it is in honor of their debut album Ten — this beer is a Belgian Golden Ale hopped to 20 IBU (International Bitterness Units) with ten additions of black currants during a one hour boil. Pearl Jam drink Corona on stage, which is a light Mexican adjunct macro lager. Lead singer Eddie Vedder also drinks Pinot Noir wine. This beer attempts to meld the two together. The pour on this beer produced a pale straw yellow drink topped with an extremely small head that faded nearly as fast as it formed. The body was clear and free of particles or sediment, and bubbles quickly rose to the surface. There was no lacing at all during the drinking. This beer looked much like a macro lager, with the exception of the tiny head. Since this beer is brewed with currants, a smell of grape is front and center on the aromatics. The aroma is very sweet, balanced with a somewhat bitter graininess. There’s a bit of earthy yeast, but that’s it. While not offensive, there really isn’t anything in the aroma category other than the grape and grain. In fact, this beer smelled very much like another Dogfish Head beer, Midas Touch (minus the saffron and honey). On the palate, Faithfull delivered a watery grape followed by a full grain bill. The finish was sweet and refreshing, with a thin and slick mouthfeel. The flavors that were there didn’t last long, and the after effect left a small alcohol warming sensation. If you think this beer sounds disappointing, you might be right. Here’s the thing. Dogfish Head hit it by trying to make a beer that was Corona with a little grape flavor. They have absolutely nailed it. But by doing that, they’ve made this beer into Midas Touch Light. 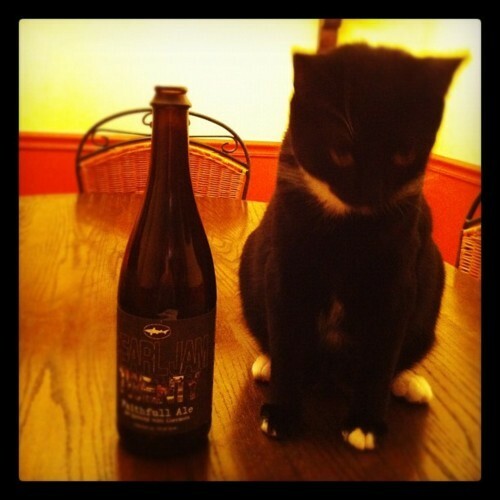 But, more importantly, does this beer represent Pearl Jam well? As a nearly lifelong fan of the band, I would have to resoundingly say no, it doesn’t. 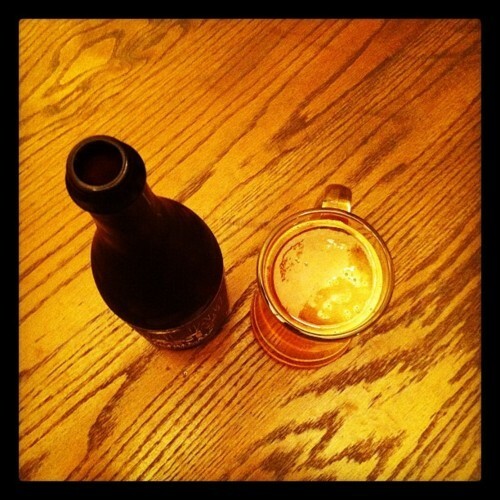 If you like light tasting beers that are more on refreshment than flavor, this one is for you. I liked the beer — and I think all Pearl Jam fans should try it — but it left me wanting much, much more. 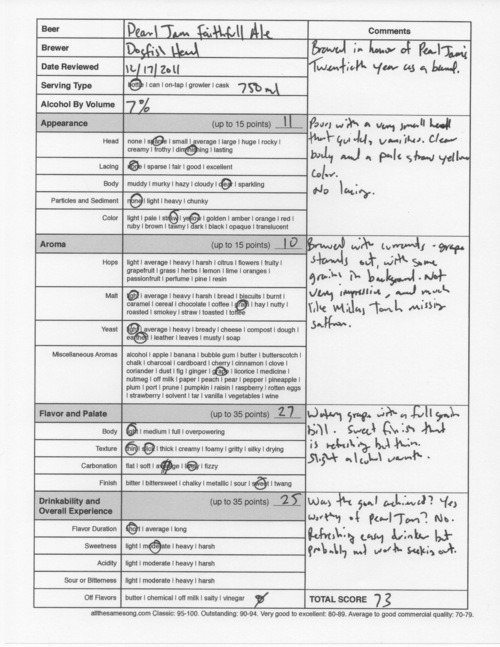 Dogfish Head Pearl Jam Faithfull Ale, 73 points. Price: $11.99 US for one 750 ml bottle.